This enlargement of a suburban house wraps around the back and side of the original house, extending the current living space and creating a new sitting room, dining room and kitchen, with a master bedroom, bathroom and dressing room above. 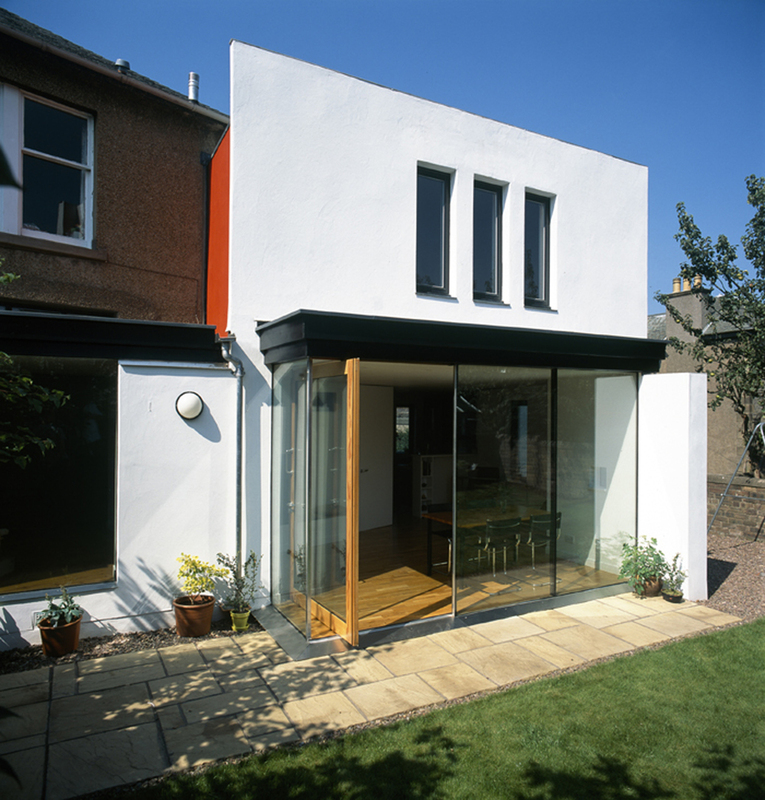 The visual impact to the original house is minimised through only a small part of the extension being visible from the street. The solid walls unfold into the garden to allow light to pour in through the expansive windows. Big pivoting doors open to a secluded garden to the rear and a terrace to front.